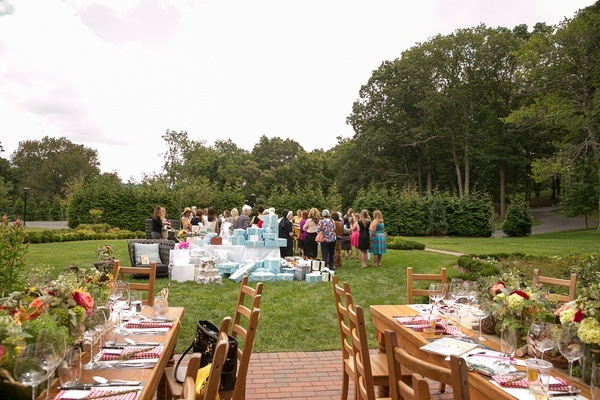 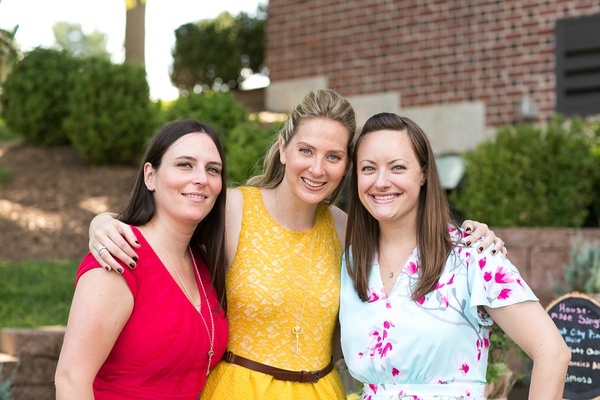 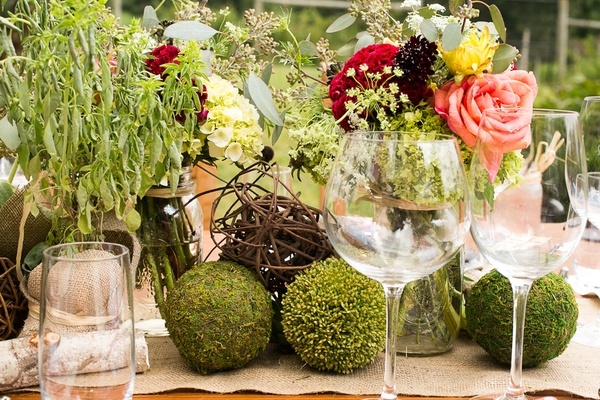 When planning her bridal shower, Kelly White happily ventured off the traditional beaten path. 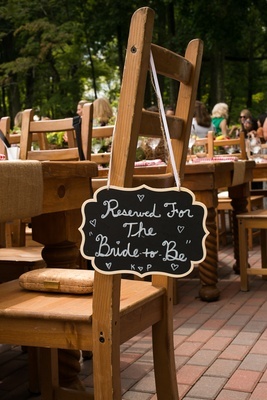 “I wanted to have a pre-wedding celebration for both Peter and myself. 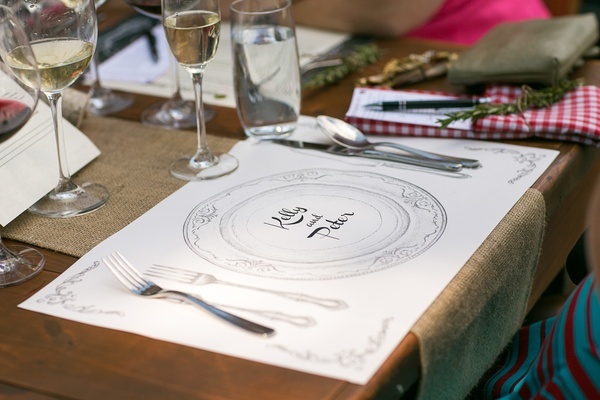 [This] consisted of a farm-to-table brunch with wine tasting for the ladies and a private luncheon at the same venue for the men,” she explains. 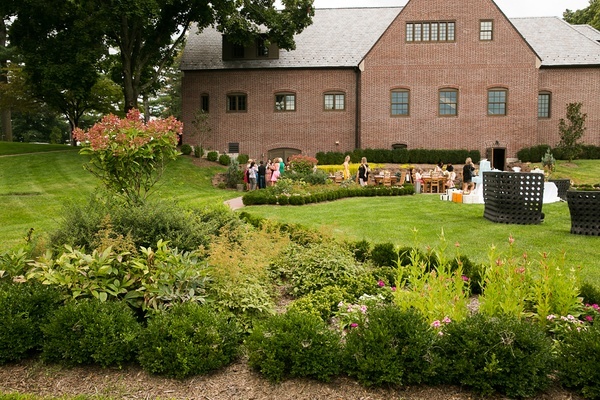 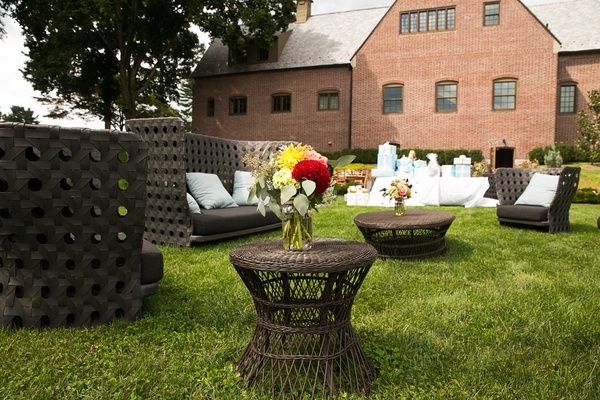 “I was interested in doing something unique that would be fun for all.” Inspired by the special connection to Natirar – her wedding to Peter Jaeckle would take place at the property’s mansion later that fall – she chose Ninety Acres Culinary Center. 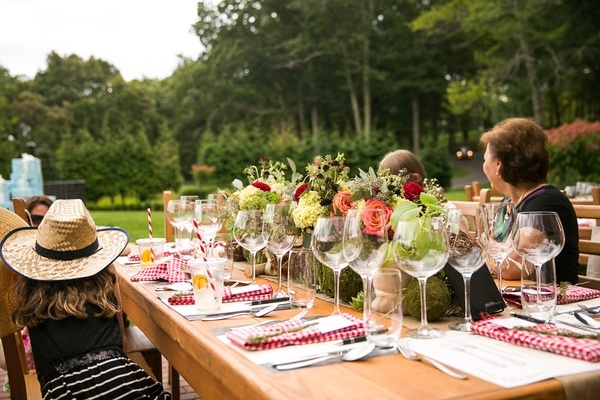 As the ladies gathered on a patio surrounded by green lawns and towering trees, they enjoyed a variety of seasonal passed hors d’oeuvres, which included vegetable tempura, paprika seared shrimp, and grass-fed burger bites. 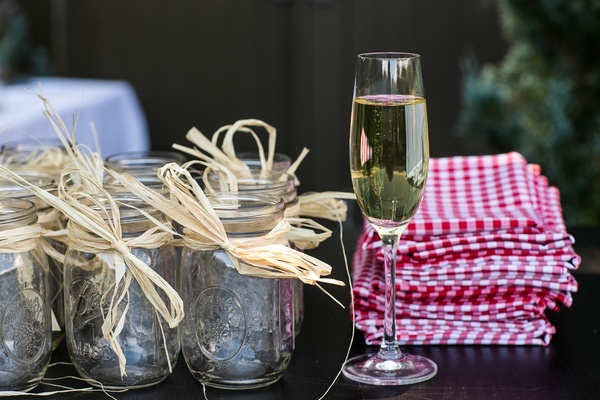 Along with other refreshments, the open bar poured sangria as the signature cocktail in mason jars to be sipped with red-and-white striped straws. 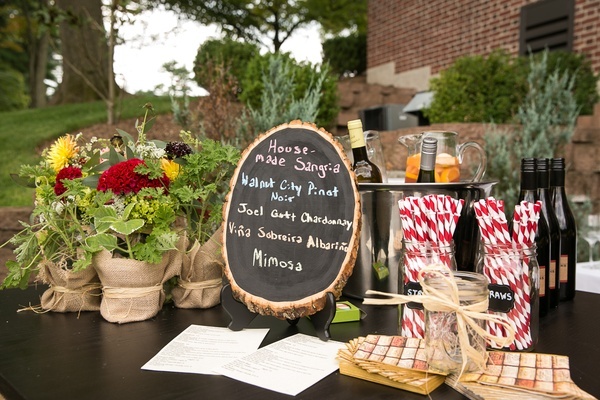 “Drinking Green, Living Clean” was the theme of the wine tasting portion of the festivities. 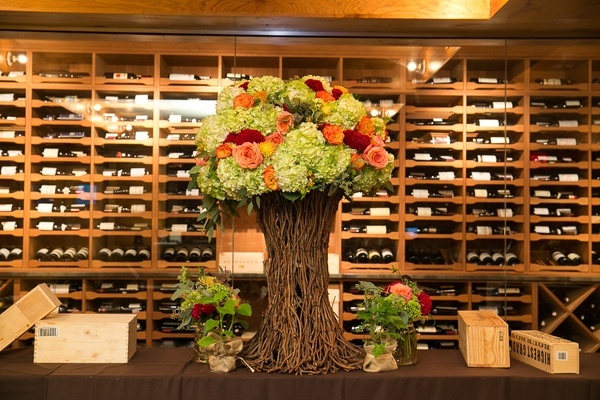 Kelly worked closely with the sommelier to select wines from estates with organic or biodynamic practices. 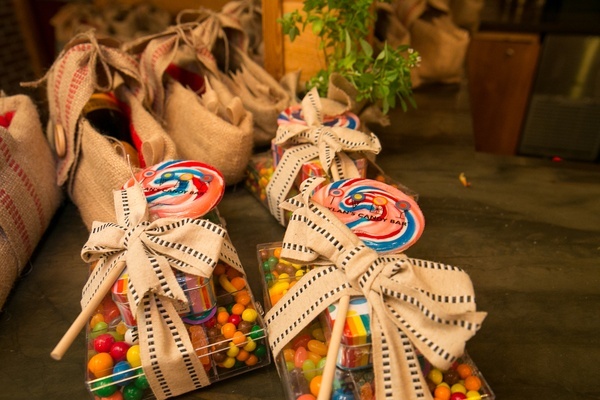 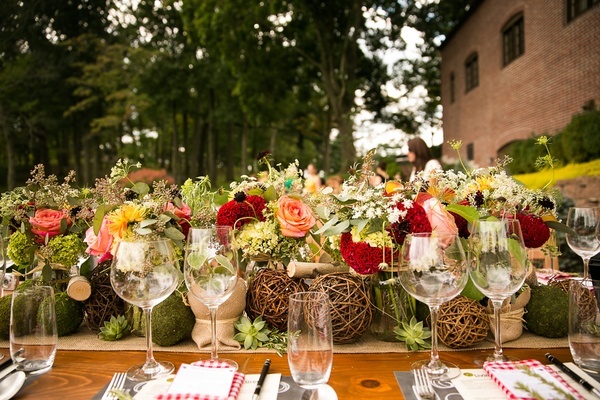 Afterwards, attendees dined at long wooden tables adorned with burlap runners, flowers and herbs in jelly jars or burlap wrapped pots, moss, and twig spheres. 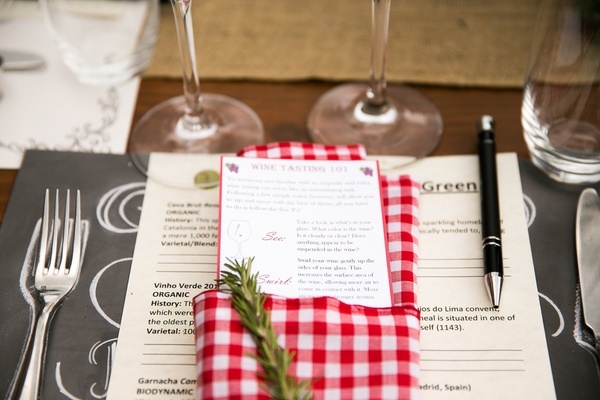 Red-and-white gingham napkins and rosemary sprigs sat atop place mats bearing the couple’s names. 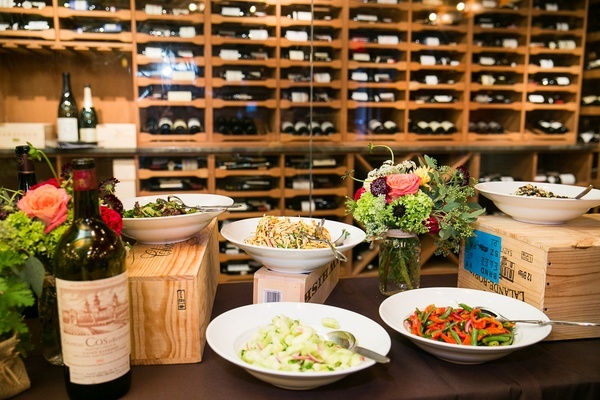 In the wine cellar, a buffet offered dishes composed of ingredients from Natirar’s farm and other local purveyors, including roast, sliced smoked salmon, quiches, grain salads, and baked pastas. 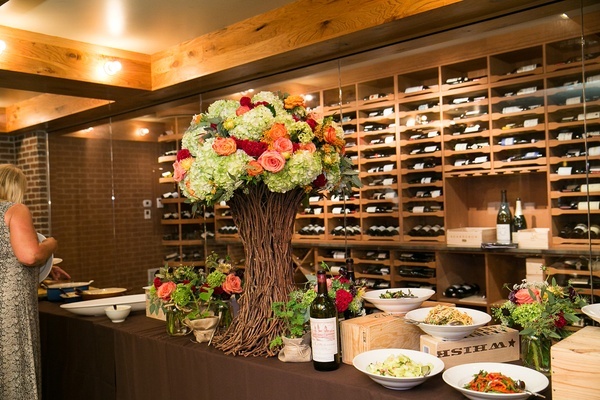 Though the gents savored similar fare in a private dining room of the restaurant, both parties came together for fresh baked pies and miniature fruit tarts.